There are a variety of different nutrients that we need to consume on a regular basis in order to live healthy. One of the most important of these nutrients is magnesium, a mineral that is vital to the overall health of the heart, bones, brain, and muscles. Unfortunately, some of us don’t get enough magnesium in our diets, leading to a deficiency. Curious as to what a magnesium deficiency entails? 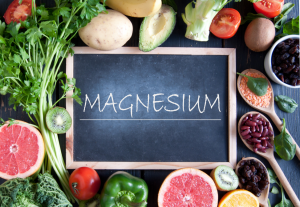 Wondering how to meet your daily magnesium needs in Chicago? Read on to find out! There are a number of medical conditions that tend to arise when there is a lack of magnesium being absorbed by the body. Those who suffer from magnesium deficiency also tend to suffer from seizures and heart problems. Magnesium deficiencies come about for a number of different reasons. In some cases, they’re caused by alcoholism. In other cases, they’re caused by excessive vomiting. On occasion, a person will have a magnesium deficiency for the reason that he or she is simply not consuming enough of the mineral. Magnesium deficiency symptoms range from the mental, to the muscular, to the cardiovascular, and more. We’ll explain these symptoms in more detail below. In many cases, those with magnesium deficiencies suffer from mental illnesses, particularly depression and anxiety. In mild cases, individuals may become apathetic, careless as to what’s going on around them. While not all depressed and anxious individuals are suffering magnesium deficiencies, it’s certainly something worth looking into. Cardiovascular symptoms are common with those experiencing magnesium deficiencies. A lack of magnesium can lead to everything from irregular heartbeat, to high blood pressure, to, in very serious cases, heart attack. The reason that a magnesium deficiency tends to cause heart troubles is that magnesium is used to create potassium in the body. Potassium, in turn, is used to regulate the heart. When not enough magnesium is absorbed, not enough potassium is created. Thus, heart problems arise. One of the most obvious muscular symptoms associated with magnesium deficiency is twitching. Those affected will sometimes lose temporary control of their muscles, experiencing spasms and tremors. As was noted above, in more serious cases, affected individuals will experience seizures. These symptoms are believed to present themselves due to an excess of calcium in the joints. Because there is not enough magnesium present to regulate this calcium, the joints become overstimulated, and trigger the muscles. While osteoporosis is caused by a number of different factors, magnesium deficiency is one of them. A lack of magnesium in the body can lead to severely weakened and brittle bones as well as lower levels of bone-producing calcium. Fortunately, there are plenty of foods that can provide your daily dose of magnesium. These foods include dark chocolate, spinach, almonds, bananas, tofu, and much, much more. If you have trouble meeting your daily magnesium needs with foods, you could also try taking daily magnesium supplements in Chicago. Magnesium supplements are specifically designed to be absorbed in the body. For this reason, they are also a great option for those who have trouble absorbing the mineral. Looking for Magnesium Supplements in Chicago? Do you need help meeting your daily magnesium needs? Looking for magnesium supplements? If so, the Feely Center for Optimal Health located in both Chicago and Olympia Fields has you covered. Our magnesium supplement, Mag 360, not only provides you with a dose of magnesium, it also helps your body to absorb additional magnesium that you consume throughout the day. Buy it now by clicking here!